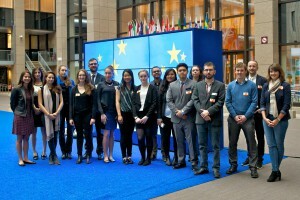 Students of our master programme “European and European Legal Studies” (MEELS) visited key European institutions and organisations in Strasbourg, Luxemburg and Brussels from June 12th to 17th. 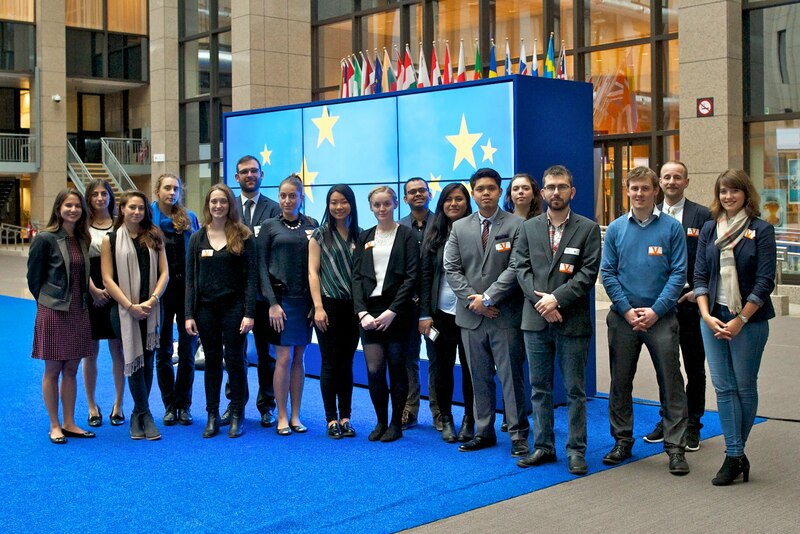 At their first stop in Strasbourg the students gained an insight into the work of the Council of Europe, especially with regard to current challenges and problems in individual member states such as Russia or Turkey. Later in the afternoon at the European Court of Human Rights the students had the chance to pose their questions about the procedure of the court and the implementation of judgements to the German judge Angelika Nußberger. The following visit to the European Court of Justice was a highlight of the trip for many students. After a short introduction, our group there had the opportunity to attend an oral hearing before the Grand Chamber of the Court. Afterwards at lunch the students were able to ask questions on the work of the European Court of Justice to Waltraud Hakenberg who serves as Registrar of the European Union Civil Service Tribunal. In Brussels, experts from the European Commission and the Council of the European Union presented and discussed issues such as the current state of negations of the TTIP-agreement, the migration flows in the EU and a possible exit of the United Kingdom with the students. Our participants here once again raised critical points and engaged in a lively debate. Finally, we had the possibility to get insights to the regional representation in Brussels in the Permanent Mission of Hamburg and Schleswig-Holstein, the so-called Hanse Office.